It's a nice model with well understandible, clear diagrams. 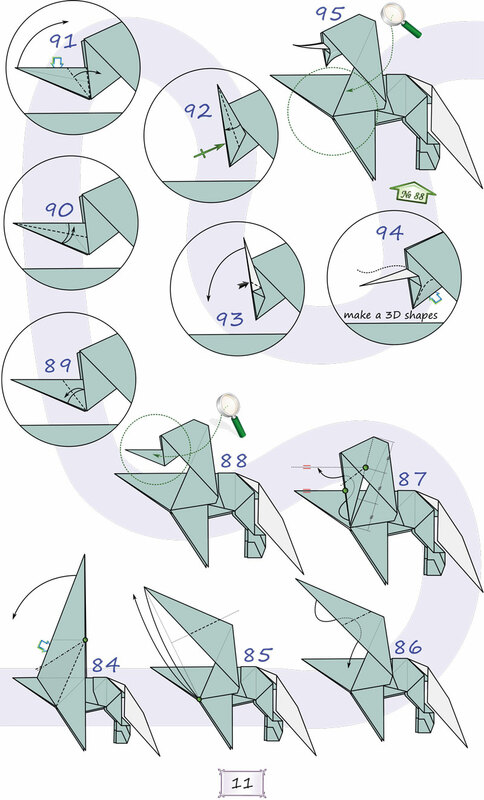 Folding it was not very difficult, so I ... (Lire la suite)think it's an intermediate difficulty model. 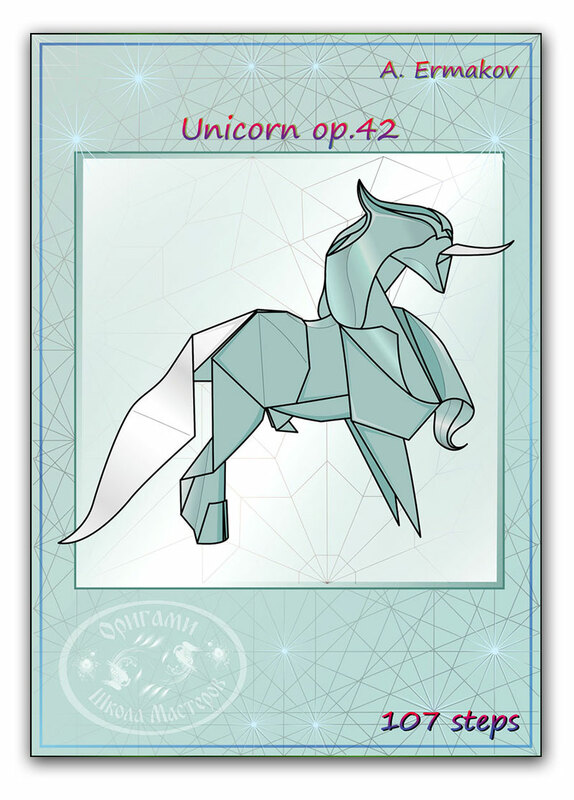 The unicorn looks relatively small in the end, so taking a large square of paper is a good idea. 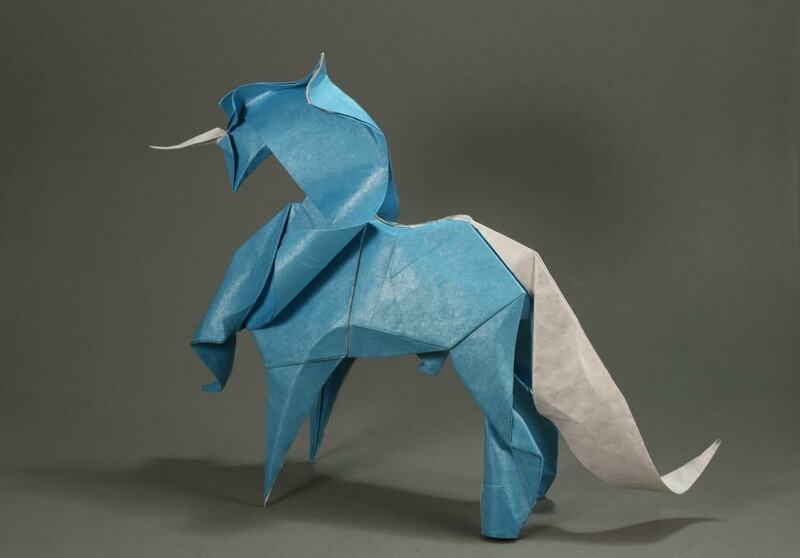 Furthermore, if you want to add details to your unicorn (as i.e. waving mane etc. ), the paper should be thin (i.e. Sandwich paper or similar). 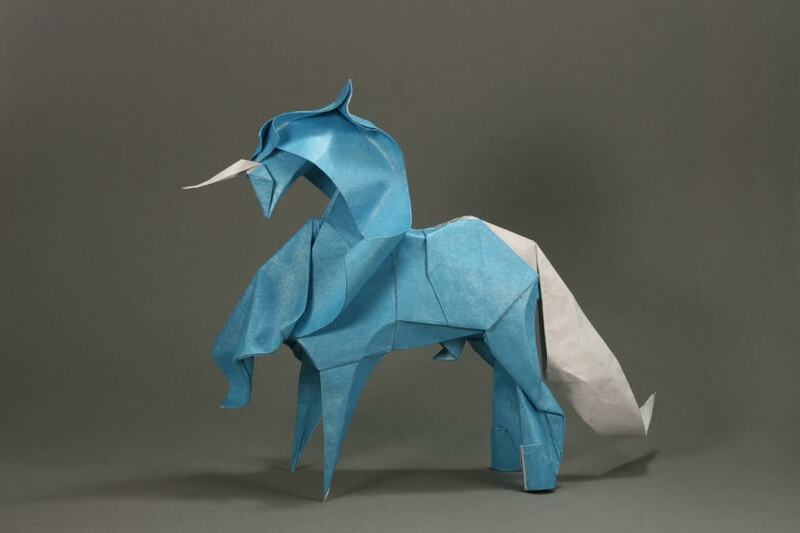 Unfortunately I'm not 100% happy about unicorn's design, though it was very fun to fold. While its hind legs show a lot of details (such as hooves and joints), the front legs are very minimalistic and geometric.I think that's a style break. Also I think that unicorn's head and horn could be somewhat larger.